I quietly screamed, if that makes sense, when I saw those helmet lamps. 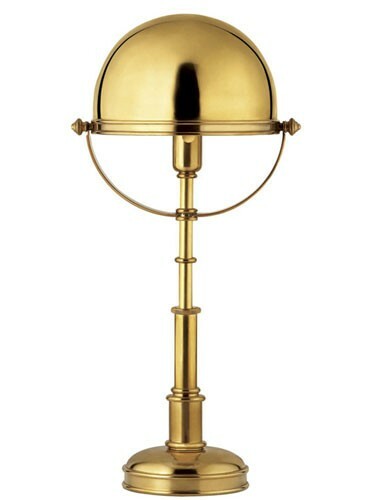 Don't they look extremely similar to this $870 Ralph Lauren helmet lamp?? Crazy similar right?? Well each of those lamps at HomeGoods were $49.99! So I scooped both of them up. One of them kicked that pharmacy lamp to the curb, well to the dresser in the room to be exact. I have yet to find a home for the other helmet lamp, but I'll find one! Do you shop at HomeGoods (HomeSense in Canada)?? If so, have you found any good deals lately? Do share! This is fabulous Tiffany. 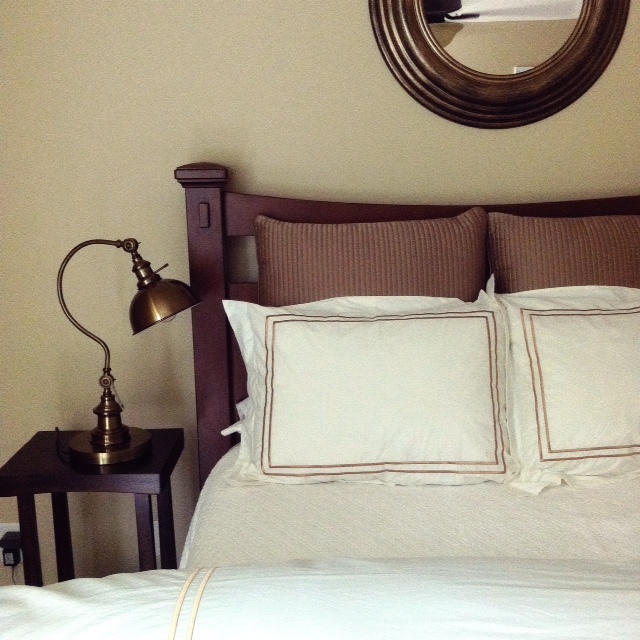 Love your bed AND guest room.....when you do well there, you can REALLY do well there. Enjoy all your new finds! The sheets! So lucky! 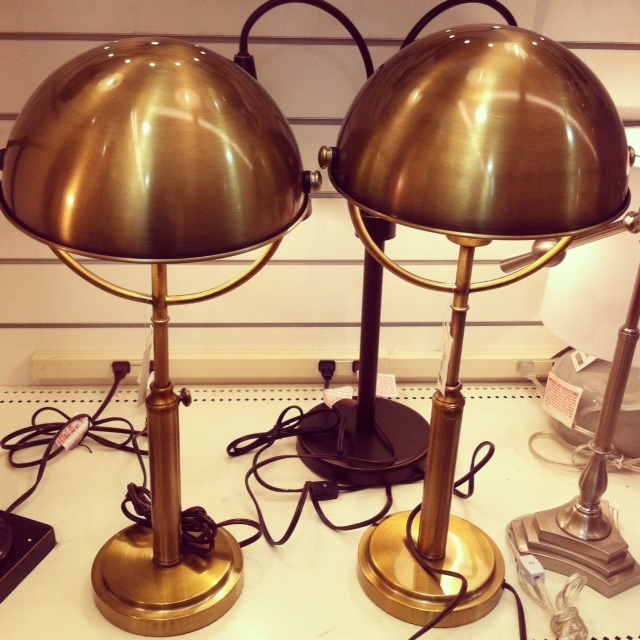 And the lamps are stunning, looove them! After you posted those sheets on Instagram. I hopped in my car and drove to the nearest Home Goods. I didn't find sheets but I did find a great cookbook and a pie pan on clearance. I love Home Goods. love your great finds--perfect match to the pricey RL ones! wish we had a home goods close by the city here- I would be stalking the store constantly! 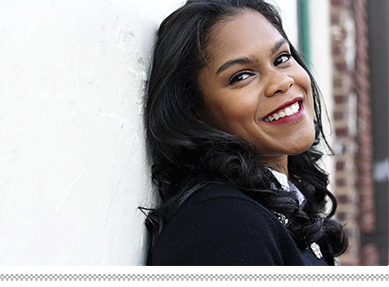 Awesome finds, Tiff! The helmet lamps are amazing. I want one in Shreveport. Have been in one in Indianapolis, and my DIL has found some great finds. Need one here! I love love love HomeGoods! I can afford it! Ha! Great finds! Nice finds! I love Home Goods too!! Oh my goodness, I want to run out to HomeSense right now and see if I find any Kate Moss sheets. Fabulous finds!!!! 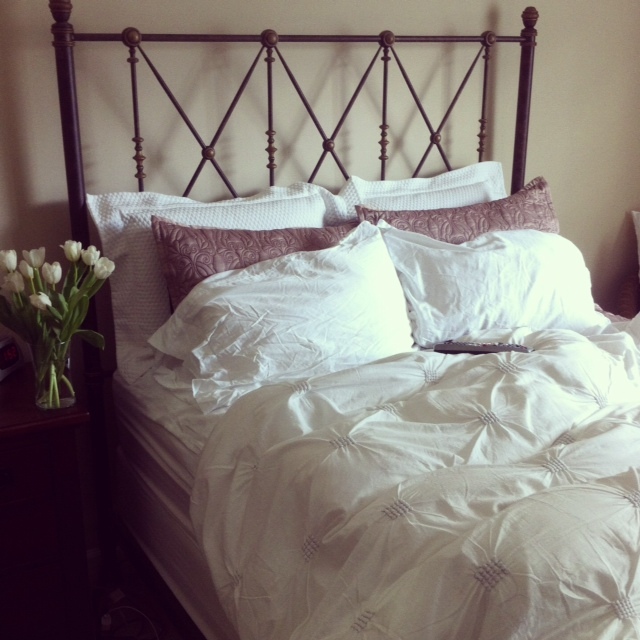 I love white beddings, it gives this fresh, crisp and fluffy fealing of a good hotel bed. 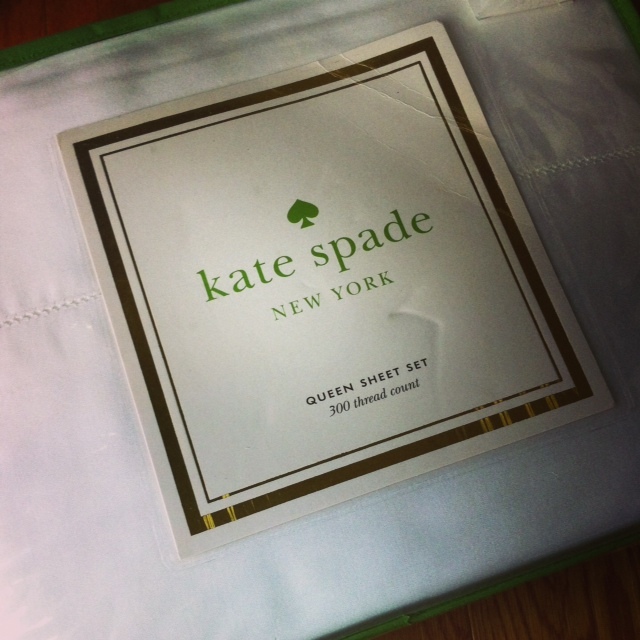 Kate Spade on clearance? C'mon, why can't I ever get lucky and find something like that? Haha.